While considering alternative sources of energy such as solar power, it might be helpful to know that users of solar energy at homes and business premises are entitled to certain rebates. Majority of governments offer such rebates for consumers of solar be it for home or a business premise. The rate of Photovoltaic (PV) power rebate being offered however varies from one state to the other. Since year 2009 the US government has implemented a no-limit tax credit for installation of any type of energy system that is renewable. The tax credit is applicable more so for those individuals who are considering this option for their homes. Prior to 2009 the tax rebate on installation of renewable energy system was restricted to 30% of the total installation cost or $2000 whichever was lesser. However with the implementation of the new law on unlimited tax rebate, an individual is entitled to 30% of the total cost of installation of a solar system without the cap of $2000. Residents of Arizona State using solar energy systems enjoy a double bonanza by availing the tax credit offered by the Federal Government and also by availing a rebate on solar energy installation from the state of residence as well. As for the State of California, its attractive features in its tax rebate are truly motivating for prospective users of solar energy. The program has been classified into two types, one intended for the installation in newly-constructed building structures while the other is meant for pre-existing building structures. The initiative named as California Solar Initiative (CSI) Program is well structured and aims at producing solar power of over 3000 watts within the next few years ending 2017. In Colorado, the promise of rebates being offered by power companies are indeed significant and if one were to compare these rebates with those from other states then Colorado is one among the best. 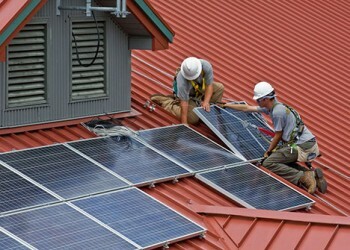 The offers are consumer-oriented and motivate people to consider the solar power option. A user not only earns $2 for every watt at the time of installation but also gets much more via a certificate on renewable energy by which the user is able to enjoy further benefit of $1.50 for every watt. No wonder then that there are plenty of households there that install the PV system especially those homes that receive ample sunlight. For the state of Florida the solar energy scheme was introduced way back in 2006 and since then users of solar energy systems have been on the rise. The systems include a host of solar equipment for heating water, pools and various other lighting devices. For installation of such solar systems certain guidelines would have to be adhered to not just by the house owner but also by the company engaged in installation. As for benefits received, the user of solar power system is entitled to approximately $4 for every watt. If one were to look at solar energy rebate policy in Massachusetts State here also the rebates on PV energy are no less lucrative from a consumer’s point of view. 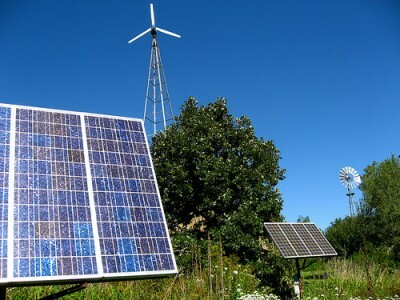 However the terms and conditions slightly vary as it is an overall organization known as The Massachusetts Technology Collaborative Renewable Energy Trust that oversees the rebates on solar energy for users. The upper limit of rebate being offered is a massive $20,000 and the calculation of rebate is based on the personal income of the consumer as well as the property in concern. The average rates applicable for a moderately priced home is $2 per kilowatt with an additional $1.25 rebate offered for the consumer earning a moderate income. Any extra energy generated from solar systems that enjoy maximum rebates are usually linked with the local source of solar power grid in order to better utilize any extra energy being generated. Thus homes located in areas with bright and high sunlight benefit a great deal by doing this as their solar energy bills are usually minimal. However in connection to a solar power grid does not work out, the other option would be to make use of the extra PV energy by charging batteries which may then be utilized on a rainy day.